In this post I will share how to install Node and NPM. 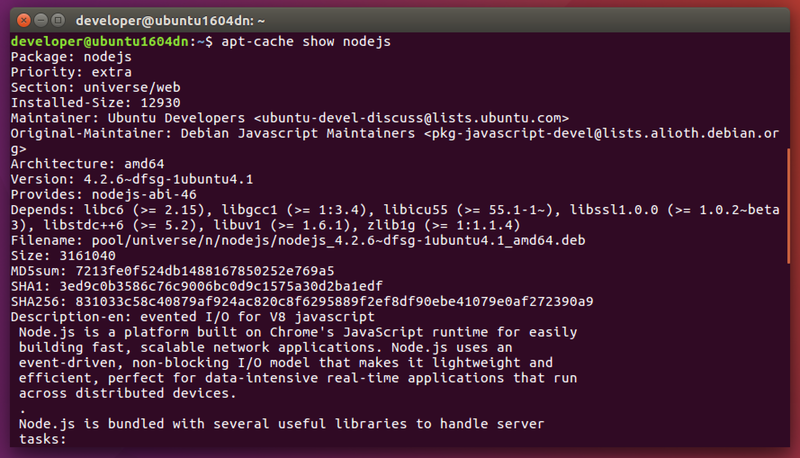 Keep in mind that on Ubuntu the name of the Node.js package/executable is nodejs, not node. At the time of writing, the current versions of nodejs and npm are 4.2.6 and 3.5.2 respectively.